The pizzeria was one of three recognised in Australasia. Petone's La Bella Italia has been a staple of the Wellington dining scene for nearly two decades. Renowned not only for delicious and authentic dishes, but for its unabashed knowledge and as an unrivalled market place for imported Italian goods. Once again, the restaurant's talents have been recognised internationally. This time, it has been awarded as one of the 70 best Italian restaurants and pizzerias in the world. 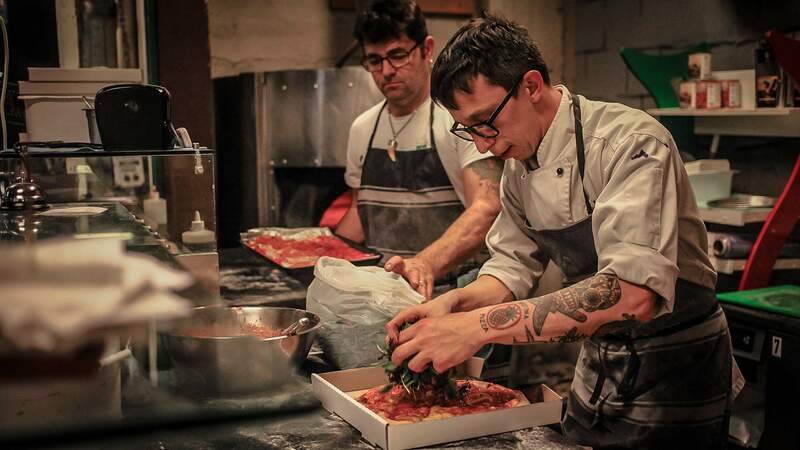 This year was the first edition of the award, officially titled The 70 Best Restaurants with a Pizzeria in the World. The project was conceived and curated by Ristorazione Italiana Magazine, the top network for Italian restaurant professionals. The ceremony itself was held in Rome at the prestigious Terrazza degli Aranci. To highlight the prestige of these accolades, they were personally awarded by the Michelin-starred chef, Heinz Beck. La Bella owner Antonio Cacace enlisted the help of his mother and sister to receive the award. This award is special not only to La Bella, but to the wider foodie community — La Bella is the only establishment in New Zealand to receive the award, and was one of three recognised in Australasia. Considering 20 of the awards went to restaurants in Italy, that is a huge achievement. So let us Wellingtonians celebrate the success of La Bella Italia over the clink of a wine glass, and a shared pizza, or three. Ka pai and congratulazioni, La Bella Italia. For more information about the award, including the full list of winners, visit the La Bella website.